Christina Hart-Davies is well known to members of the SBRS; not only did she paint the majority of the illustrations in David Streeter’s Wild Flower Guide, but she came to talk to us about the art of botanical illustration at one of our Staplefield meetings a few years ago. Her book A Wild Plant Year was published two years ago, and her new book will be published this autumn. 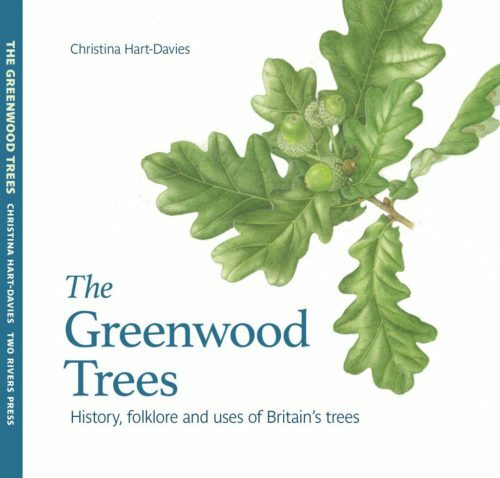 Titled The Greenwood Trees, its focus is the uses, history and folklore of Britain’s trees, and will be launched as part of an exhibition celebrating trees at the Sir Harold Hillier Gardens in Hampshire. The exhibition (Treesome) runs from 28 September through to 7 October, and includes Christina’s watercolours for the book, all of which will be for sale. Other artists whose work appears in the exhibition are Jo Elswood (textiles and mixed media works) and Sally Winter (etchings and collagraphs).